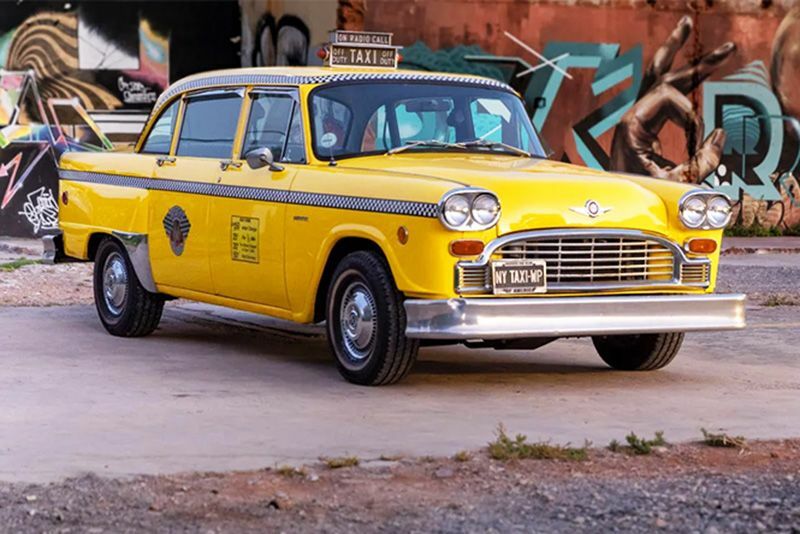 This Checker A11 New York Taxi has lived a life better than most, including drug-busting with the DEA, starring in Hollywood films, road-tripping across America and retiring to Cape Town – its history runs deep. Did you know that the Checker A11 New York Taxi holds the title for the longest production run of any car in America? Well, now you do. Making its debut in 1959, the Checker A-series was built right up until the company closed its door in 1982. Over the years, its drivetrain and various other bits received updates, and new technology, such as power-steering, was introduced. The body, however, remained virtually unchanged and gifted these cars with the iconic status of being one of the most recognised vehicles of all time. But this story is about one vehicle, in particular, a 1978 model. Originally purchased at a government auction when its taxi days came to an end, it was rented out to movie production companies. It starred in movies like Carlito's Way and 200 Cigarettes before the owner decided to sell. That is when a chap by the name of Dieter Losskarn purchased it. He bought it from a Columbian in New York who, he says, looked like a drug lord which, he said with a smile, was ironic because it had been used by the Drug Enforcement Agency as an undercover police vehicle with one agent driving and another sitting in the back. It was always Dieter's goal to purchase one from New York and then use it on a 15 000km road trip across America – which he did. "It was a rolling restoration," he says, as it was in poor condition when he bought it. He refurbished it as he travelled, reminiscing about the time the air conditioning broke in the sweltering heat of Death Valley, placing wet towels on his six-month-old daughter's head to cool her down. Dieter catalogued his trip and created a coffee table book of his adventure. Now, this Checker, with its small-block Chevy V8, lives in Cape Town's beautiful Hout Bay and spends its time visiting motoring events. Click on the play button below and learn more about this incredible machine in this episode of the Cars.co.za production of SentiMETAL. Video: 10 Cars That Are So Insane They Are Banned In America!